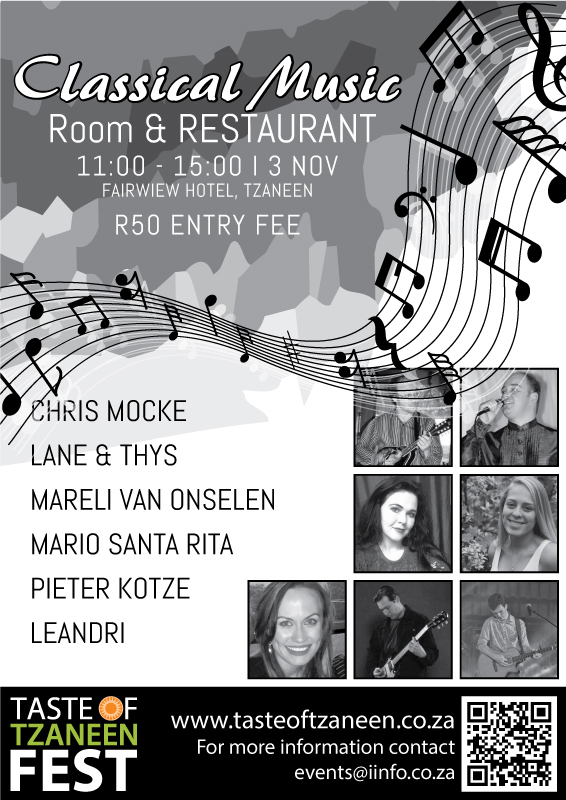 Taste of Tzaneen Fest presents the Classical Music Room & Restaurant on 3 November 2018 at Fairview Hotel from 11h00 - 15h00 at R50.00 per person. 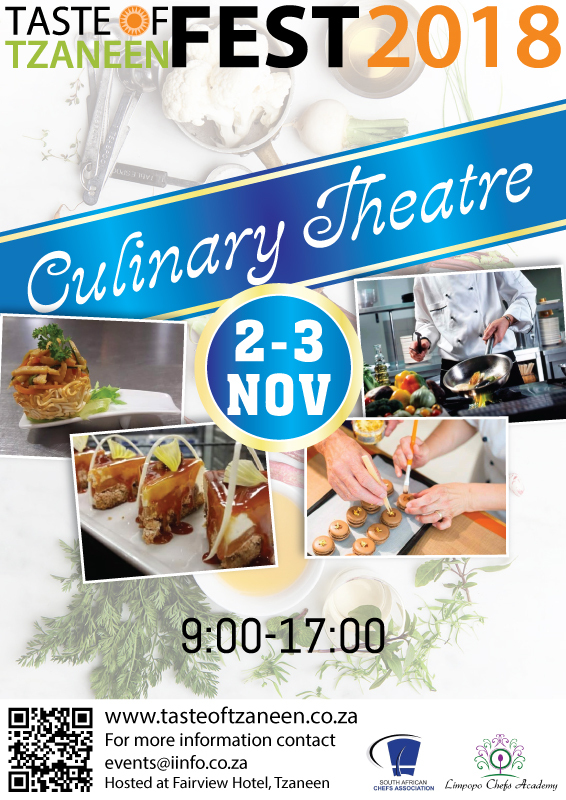 Taste of Tzaneen Fest presents the Culinary Theatre on 2 & 3 November 2018 at Fairview Hotel from 09h00 to 17h00. 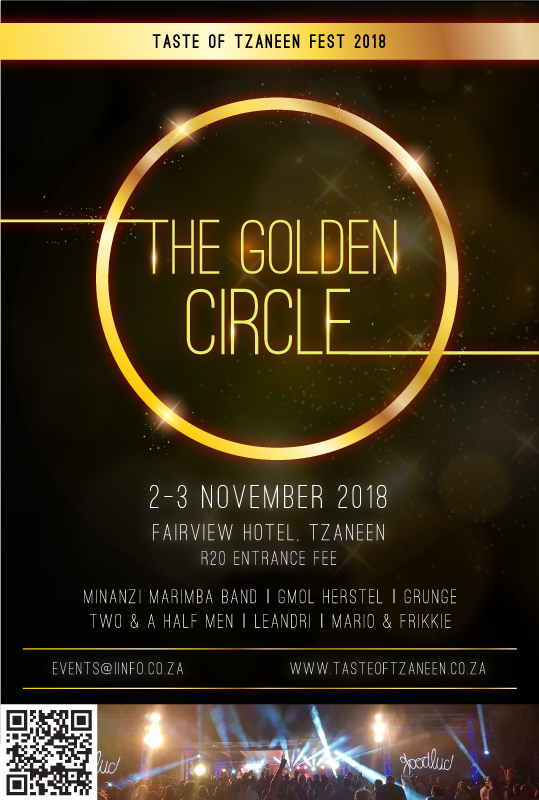 Taste of Tzaneen Fest presents The Golden Circle on 2 & 3 November 2018 at Fairview Hotel from 09h00. 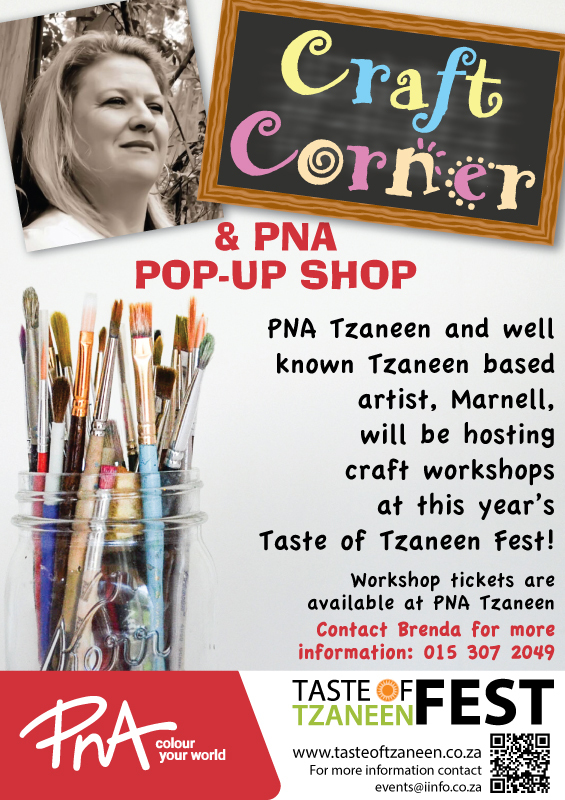 PNA Tzaneen and Marnell, will be offering arts & crafts workshops at this year's Taste of Tzaneen Fest! 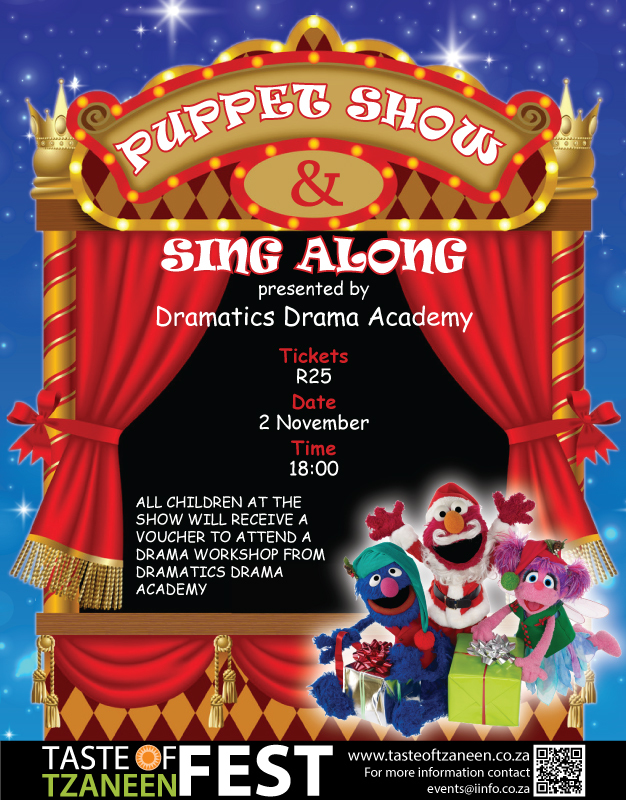 Contact Brenda for more information : 015 307 2049. 2018 | huge program for the kids this year! 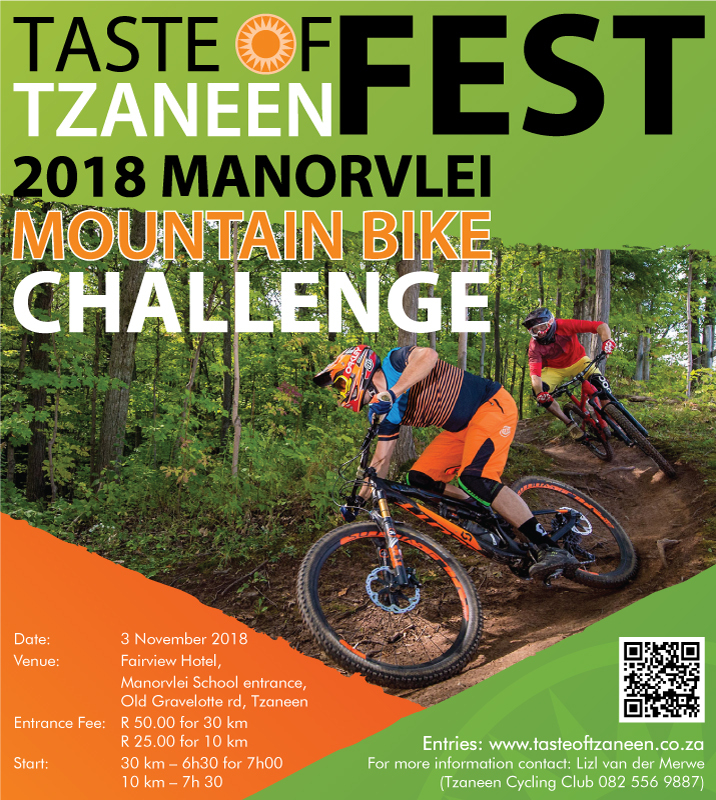 The Taste of Tzaneen 2018 offers a huge program for the kids this year! 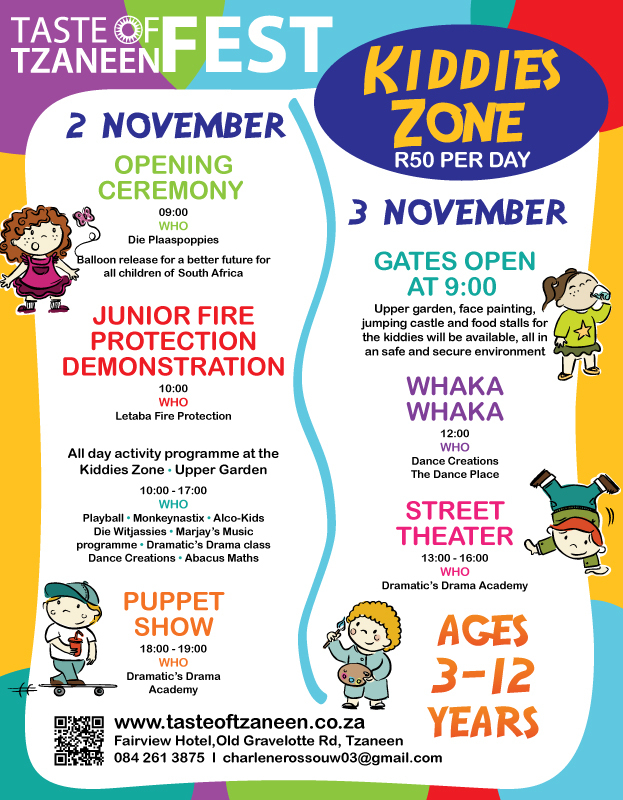 For only R 50.00 per day entry fee, children can spend the whole day engaging in their dream activities in a safe and secure environment, while mom and dad roam around and enjoy delicious food stalls, do the wine tasting safari, enjoy entertainment, art exhibitions and many more. Jumping castles, face painting and food stalls for die kiddies will also be available to make their experience of the Taste of Tzaneen Fest 2018 unforgettable too. 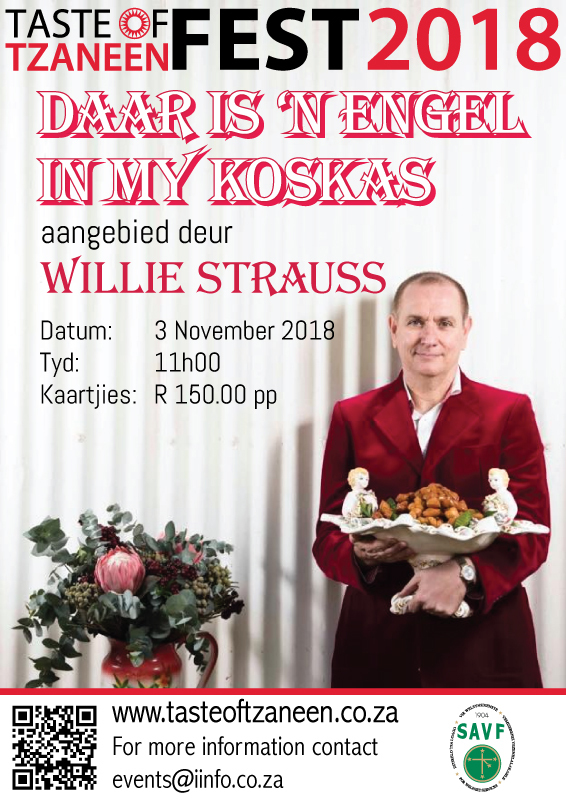 Daar is ‘n Engel in my koskas word aangebied op 3 November 2018 by Fairview Hotel vanaf 11:00 teen R150.00 per persoon. Vir meer inligting skakel Ilza Roelofse by 082 773 0471. 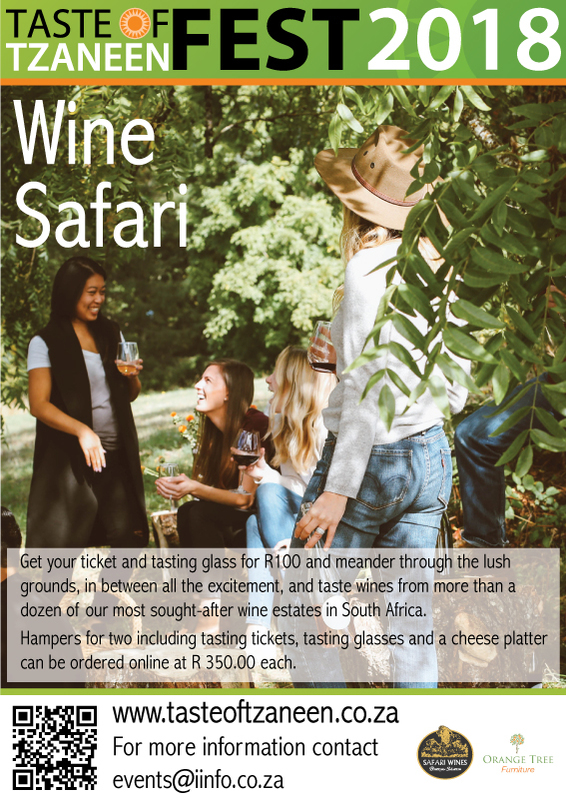 Get your ticket and tasting glass for R100.00 and meander through the lush grounds, in between all the excitement, and taste wines from more than a dozen of our most sought-after wine estates in South Africa. Hampers for two including tasting tickets, tasting glasses and a cheese platter can be ordered online at R350.00 each. 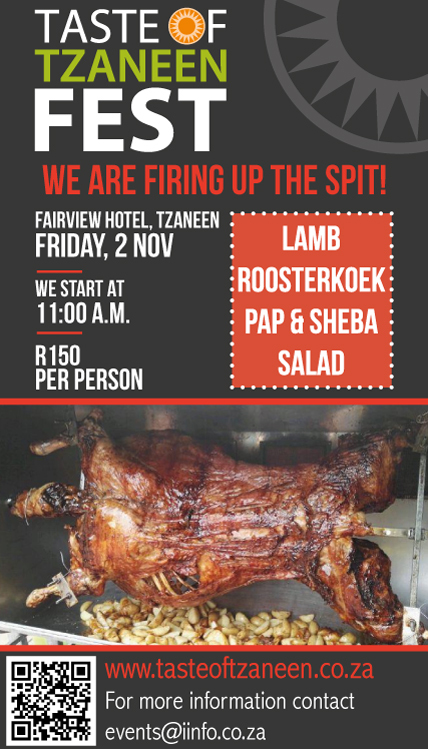 Enrich your knowledge at the Taste of Tzaneen Festival, 2/3 November 2018 of the actions of notorious Australian officers of the Bushveldt Carbineers in the Soutpansberg and surrounding Lowveld. The Legend of Breaker Morant is Dead and Buried. Author Charles Leach, fifth generation descendant of Pittendrigh, Cooksley, Kleinenberg and Zeederburg pioneer families, spent more than 7 years researching the events which occurred in the last phase of the Anglo-Boer War on his 'home turf' as well as in the Mooketsi and Duiwelskloof areas. He is the third generation of his family to have served with the Zoutpansberg Commando. His grandfather, Johannes Stephanus Kleinenberg being the first -and his own father, Ronald Leonard Leach, the second generation. His passion and enthusiasm for his subject resulted in the establishment of the Zoutpansberg Skirmishes Route which to date has seen more than 4000 tourists of varied nationalities enjoy the experience. Three Australian film companies have recorded the story on site, ‘guided’ by him, as well as acclaimed Anglo – Boer War historians. Opinions in Australia differ regarding the three death sentences passed by Court Martial on Australian officers. This has resulted in the story still being kept ‘alive and well!’ in Australia! He has also published a richly illustrated book; “. . . of a Lion and Eagle” which tells the story of First Nation Canadian, Constable Charles William Eagle, who served with the S.A.C. and is buried at one of the sites. This book has been well-received by descendants in Canada! 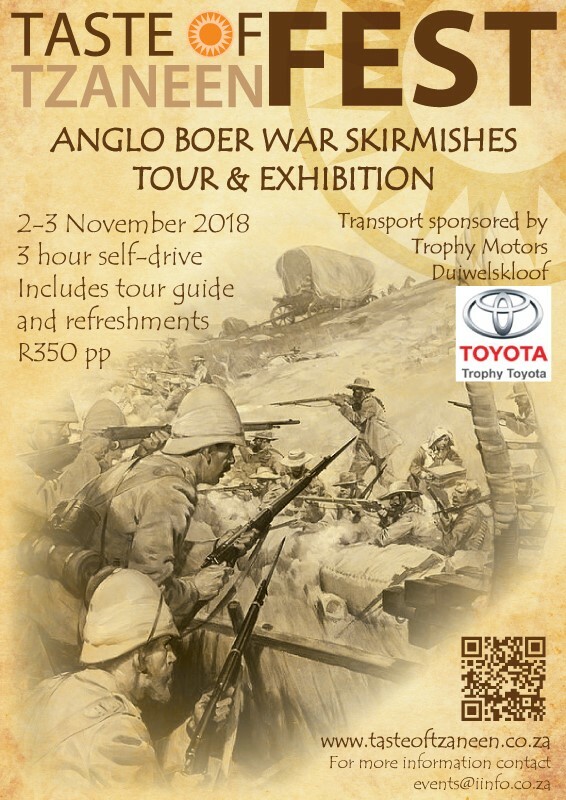 Well-known local historian and tour guide, there is none better to tell the story of how events unfolded in those last months of the Anglo – Boer War. Do not miss this valuable opportunity to learn more and get first-hand information on this most interesting part of Anglo Boer War history which took place in the proximity of the Tzaneen area and tragically affected the ancestors of several families still living in the area. Book your seat and be part of his 30 Minute talk about these touching and tragic historical events, and then join Charles on an approximately three hour guided tour which will take you to some of the hotspots of that era, including Jagtdrift Monument, Medingen Cemetery, Ravenshill (if possible), the Viljoen Homestead and monument and the Duiwelskloof Heroes Acre monuments. 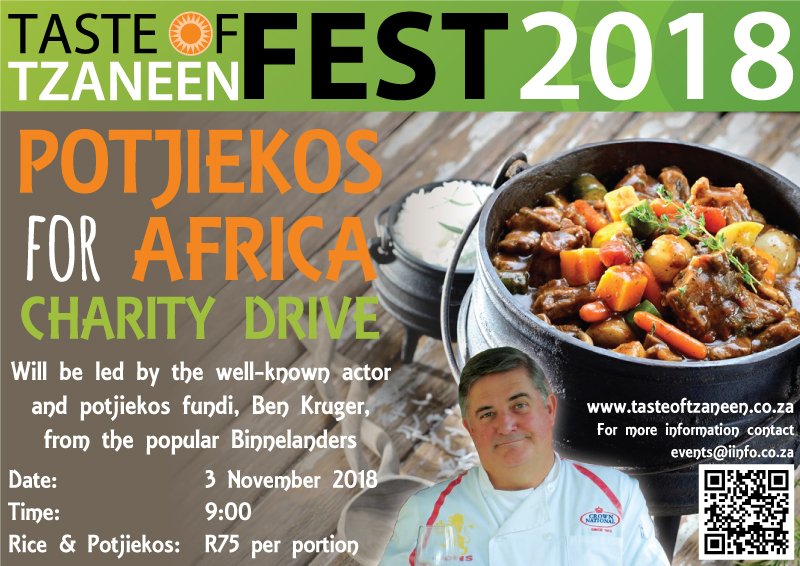 Taste of Tzaneen Fest 2018 Potjiekos For Africa Charity Drive will be led by the well-known actor and potjiekos fundi, Ben Kruger, from the popular Binnelanders.